What did you feed your kids for breakfast? My daughters breakfast this morning. Took 5 minutes to make. Cost? Less than a buck. Lunch given will be similar. Supplements are: Multi vitamin/mineral, D, K, O3, and a probiotic. Filtered water. May I ask, what did you feed your kids? I have recently been reading Dr. Kummerow ‘s new book “Cholesterol is NOT the Culprit”. He has some very negative things to say about supplementing one’s diet with Vit. D. According to his research and those of others, he says too much Vit. D increases the formation of atherosclerosis on the arteries, especially when there is not enough calcium to counteract taking in more Vit. D than your body needs. He says sunlight exposure is sufficient for most, and three glasses of milk will supply enough calcium. Are you familiar with this book and Kummerow? Dr. Eades listed it on his web site. Your thoughts? Thanks so much. May I ask, are the supplements Multi vitamin/mineral, D, K, O3, and a probiotic what you recommend for low carbers? What is O3? O3 = omega 3. Yes, I recommend these for almost anyone. I’m afraid it was a leftovers morning today. They had last night’s chuck roast sliced and refried in bacon drippings. And water. 🙂 That’s what they get for saying they’re “tired of bacon and eggs”. We also do D&K and CLO, but not consistently. What is your opinion on Jonathon Bailors book The Calorie Myth? I would like your opinion on both his 10+ servings of no starchy veg. as well as his advocating eccentric exercises. I appreciate your time and the work that you do. @Lynn I would recommend you to have a look at dr Holick’s book on vitamin D. And anyway: who is getting enough sun exposure nowadays? I follow the reccs of the vitamin D council. I have been supplementing for many years in the winter and have gotten my levels as high as 113. I like to stay around 60-80 ng/dl. I never get ill, heal really quickly and feel great. I also have the arteries of a fetus WRT atherosclerosis. My calcium score a few years ago was 0. So I really don’t think a 2500 IU in olive oil a day in the winter is an issue. On the vitamin D topic, I used to take a lot of it, because I am fair skinned and consistently test at the bottom of the normal range. However, I have rosacea, and D seems to exacerbate it (there is a known D dysregulation in rosacea) so I quit. I’m not particularly worried about CVD, though. Of the foods shown, what are the nutritional values? Also, what foods could be eaten to provide the nutrients that the supplements are providing? As for my kids — I am a grandparent nowadays and I hate to tell you what my grandchildren eat! My 11 yo granddaughter has not eaten meat for over 5 years though she is trying to again. She is not a “vegetarian”; it’s just that she says it feels terrible in her mouth when she chews it. It doesn’t seem to make any difference what kind, what cut, or how it’s prepared… She says it makes her feel sick. She is mildly autistic so I don’t know whether there is something else going on there. Her three brothers are also autistic – one mildly like her and the other two more severely (lack effective communication and social skills completely). They all have horrible diets. 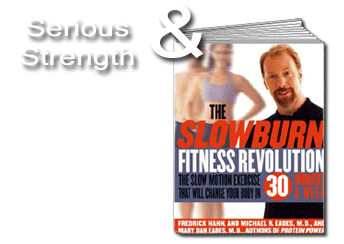 “Slow Burn”, “Insulin as the primary reason for obesity”, how can one person be more wrong? I can’t even imagine how it must feel, to be outclassed in every discussion. It was hilarious how James Krieger humiliated Fred intellectually. ****Strawman. That said, one of the primary roles insulin plays is fat storage. No insulin, no fat storage in any great amount. ***Even if this were true, why is it “hilarious” to you? Says a lot about you I think. ROFLCOPTER’s comments were an excellent example of the inverse relationship between pride and wisdom — the more space one occupies in the mind and character, the less space there is for the other. Not one thing he said added to a meaningul discussion of the topic. His statements were merely opinions seemingly designed to attack your credibility but again, they were made with no facts. Your answers were well said. Just out of curiosity, what type of meat is that in the pic? I’m always looking for things my daughter will eat. It’s steak Al. there appears to be a problem with my picture. Can’t seem to fix it. WP updated the way they have you install pix and it is way worse.